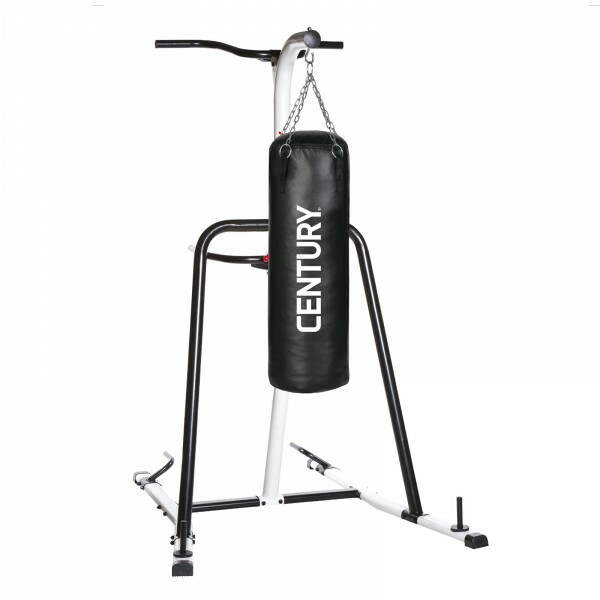 The Century Fitness Training Station is a multi-functional training module, which includes a punching bag mounting as well as a fitness module. The sturdy punching bag mounting is suitable for all common punching bags and can be used for a punching bag of up to 45 kg. 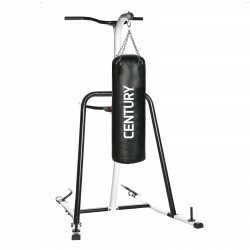 Thanks to the wide floor space of 138 x 122 cm, even kicks or especially hard punches can be done without risking that the Century Fitness Training Station falls over. Besides the chin-up bar, the integrated fitness module includes a dip module as well grip options for push-ups. Thanks to its wide-range equipment, the Century Fitness Training Station offers the ideal possibility to do a diversified whole body training or even an intensive circle training with just one fitness machine. Century Fitness Training Station add to comparison list.